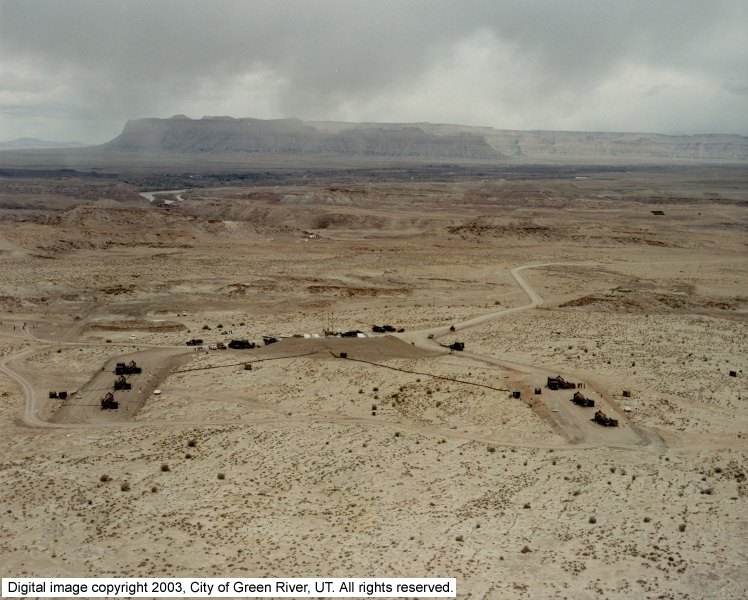 AERIAL Pershing missiles at Geyer Site, Green River, Utah. View looking north, Launch positions are 1-1, 1-2, 1-3 on left and 2-1, 2-2, 2-3 on right. Book cliffs form the horizon behind Green River Launch Complex. Source Physical Dimensions 24cm W. x 19.5cm H.